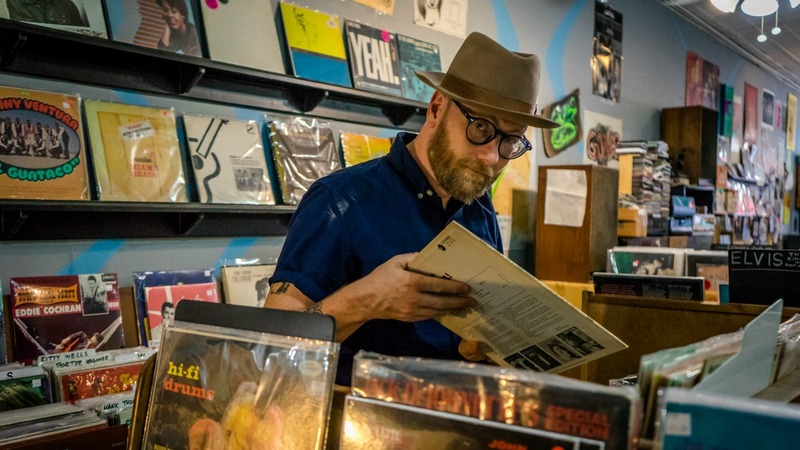 Mike Doughty might be based out of Memphis these days, but that doesn't mean that the singer, songwriter, and former Soul Coughing frontman has eschewed either New York or some of his British post-punk influences of the late 1970s and early '80s. In fact, Doughty's new, ninth album, The Heart Watches While The Brain Burns, reflects his eclecticism; it's a lean but rigorous roundup of songs that drives home what a good lyricist and guitarist he's always been, deftly shifting between folk, rock and funk. Considering the jittery, restless legacy of Soul Coughing and Doughty's experimentation, street poet eloquence, and mutable solo releases, it's not too left field to learn that he really likes the Police, this week's FUV Essentials. Doughty's discerning list of "Five Essential Police Songs" highlights the often unsung impact of guitarist Andy Summers. My thing is the New Wave Police—fast songs—where they really sound like a trio and their individual personalities on their instruments is in stark relief. And the songs go chunk-chunk-chunk-chunk-chunk. That technique—palm-muting, it's called—is the first guitar trick I ever learned. And those big, ringing chords on the chorus: so aggressive and exciting. My friends and I loved Andy Summers in the early '80s, because there was this stupid culture of guitar players who played many notes real fast; that’s not music, that’s more like track and field. Summers is so distinct and present. You can really feel that guy. One thing that was great about the early Police was how they distilled reggae into this fast, silvery, stark little animal. I think the fifth (sixth?) wave of ska is inevitable, and I hope they listen to this. There was something about Ghost in the Machine—I think it has to do with the way the vocal harmonies are arranged and recorded—that conveys this kind of dread and creepiness. Also, again on the Andy Summers tip: we all went out and got chorus pedals and tried to sound like this. Read all of WFUV's Five Essential Songs and Albums.